Invigor8 Events | Global touring exhibitions and educational events. 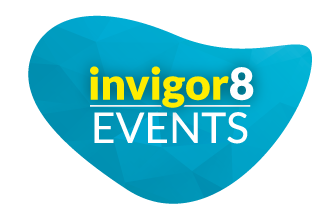 Invigor8 Events Ltd is a young, dedicated team of industry professionals that specialises in creating exhibitions and managing bespoke, turn-key touring packages. We work in partnership with venues to produce stunning, experiential temporary, touring and permanent exhibitions along with an accompanying portfolio of exciting and engaging educational workshops and events. Our team is highly experienced in exhibition creation, developing unique and innovative concepts and designing outstanding galleries and displays for museums and cultural and commercial venues across the world. Through our expert planning, construction and installation management we ensure seamless tours for exhibitions and collections and deliver not only an effective and rewarding touring experience for all our partners and hosts but an unforgettable and inspiring visitor experience for audiences worldwide. We can offer in-depth and hands-on expertise in areas including concept development for permanent and temporary exhibitions, production of educational outreach programmes and the management of touring exhibitions. Our team has a wealth of experience in producing high-quality, visually stunning exhibitions. Specialising in exhibition design, we work from concept development right through to the finer details of the interpretation, 2D and 3D visual design and accompanying visual and audio visual assets. We develop a wide range of learning and educational events, from hands-on workshops to specially tailored learning sessions. We ensure each event is developed and delivered in a bespoke manner to meet the needs and learning outcomes of the audience. We also produce specific education and outreach programmes. We manage touring exhibitions, organising and overseeing the logistics and operations throughout the process. We also develop strategic promotional campaigns, including marketing materials and social media roll outs, to promote exhibitions and reach new potential audiences. Our expert team can assist with purchasing and sale agreements, organising loans, overseeing the procurement of objects and securing exhibits from institutions and private collections around the world. 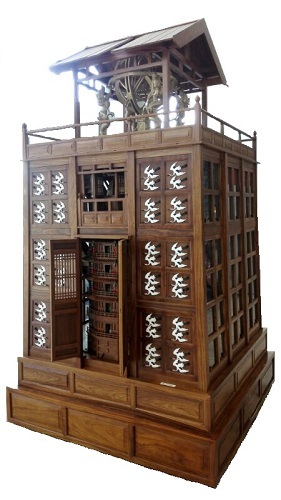 This delightful hands-on exhibition introduces visitors to the fascinating intricacies of mechanical moving toys, or automata as they are also known. Each of the carefully crafted moving toys in the exhibition combines technology and entertainment in its own unique way. From these meticulously constructed pieces visitors will learn all about the mechanics of moving toys. Ancient China was a time full of innovation, discovery and extraordinary design and engineering. This exhibition will reveal the remarkable story of how Chinese created a myriad of ingenious devices including cosmic machines able to collect data on the stars, hydraulic hammers and drilling equipments for ancient industrialisation and mass production, water-controlled clocks and the world’s first instrument to sense earthquake. Diving down into the depths of the ocean, this exciting new exhibition takes visitors on a journey through this mysterious, underwater world. Using plastination – a preservation process that replaces the liquids and fats in a specimen with plastic – specimens that were previously hard to preserve and exhibit have been able to be prepared and displayed in this exhibition in striking and artist compositions. This multi-faceted workshop offers participants the chance to build their very own cam-driven mechanical toy, or automata as they are also known. Combining art, construction and engineering, this dynamic workshop teaches participants the basics of mechanical movement and control. This fun, hands-on workshop introduces participants to making moving toys (automata) and encourages them to explore the creative potential of cams and cranks. Using a range of materials, including wood, metal, wire and MDF, participants will set about making their very own moving toy. Invigor8 have been working with the Cabaret Mechanical Theatre for the last 2 years to develop a tour of our travelling exhibitions in China, Korea, and Taiwan. Due to their extensive networks, and reputation they have been successful in securing back to back prestigious venues to host our shows. We have found their team to be efficient, professional, hardworking and highly competent. We wouldn’t hesitate to recommend them. Sharmanka Kinetic Theatre has toured extensively in the nearly 30 years of its existence, taking our mechanical sculptures to museums and galleries all over Europe, Israel and the United Kingdom. Invigor8 gave us our first opportunity to travel to Asia and the team worked tirelessly to create the best possible situations for our work to be seen in China and South Korea. The exhibitions were a huge success and we couldn’t have done it without their knowledge, expertise and support.